Running is beneficial to different aspects of your health; but specifically how is running good for your heart and muscles? Muscles can be divided into two basic categories: fast twitch and slow twitch muscles. Fast twitch muscles are typically associated with endurance, while slow twitch are associated with strength. In running, you will predominantly work your fast twitch muscles, which is why most long term runners tend to be of slender build. However, cross training to work your slow twitch muscles does have benefits even in endurance sports. Any muscle that is consistently worked in a healthy manner will grow and get stronger which is fairly common sense. How you train will determine how your muscles shape themselves. Varying your workouts will give you greater diversity in your muscle building, and that will ultimately give you a greater level of fitness while simultaneously preventing plateaus of fitness. 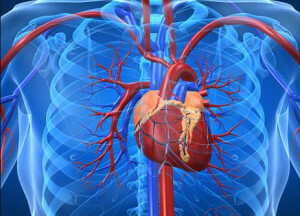 Cardiovascular effect is directly related to the VO2 measurement. VO2 is a measuring scale related to aerobic exercise. As your oxygen-exchange level reduces so too will your overall speed. It is a natural progression to suffer a decrease in your aerobic ability passed the age of 30. Smoking is something that has a more immediate and adverse effect on this ability. When you first start running, your aerobic capabilities will increase as your lungs grow stronger and your efficiency increases. The loss of aerobic abilities is dependent on your age and your ability to maintain a consistent level of running as the years pass. It is true to say that the aerobic ability of a 20 year old is much greater than a 50 year old if they are equal in every other way. However, a 50 year old that has maintained the same aerobic exercise level since they were 20 will probably be much more comparable in aerobic levels to their younger counterpart. The simple truth is that consistency of running will strengthen and maintain your cardiovascular system for as long as you sustain your routine. Running is an excellent means of conditioning the cardiovascular system. again, how is running good for your heart and muscles? It is a highly aerobic activity that utilizes both fatty acids and carbohydrates for energy. The typical runner tends to have a slow resting pulse rate and a high maximal oxygen consumption. Echocardiographic studies show that distance runners have larger, thicker left ventricles than do sedentary controls; their hearts are more efficient than those of sedentary people, pumping a larger volume per beat. Physiologic findings on examination of well-trained runners can sometimes be confused with pathologic entities. The “athlete’s heart,” once believed to be an abnormal condition, is now recognized as representing a highly efficient organ. Runners are not immune to organic heart disease. Careful physical examination of the cardiovascular system, the resting EKG, and echocardiography are useful ways to screen young competitive athletes for cardiomyopathy, the leading cause of sudden death in this age group. Treadmill testing is often used as a screening test in middle-aged and older runners for underlying coronary atherosclerotic heart disease, the leading cause of sudden exercise-related death in this age category. So, how is running good for your heart? it has positive effects on a host of coronary risk factors, which may help to explain why chronic endurance exercise is associated with lower coronary death rates.